Uploaded by Celeste Bivin on 2016-09-18. Thomas Beckett here, your ghost cat on the prowl. 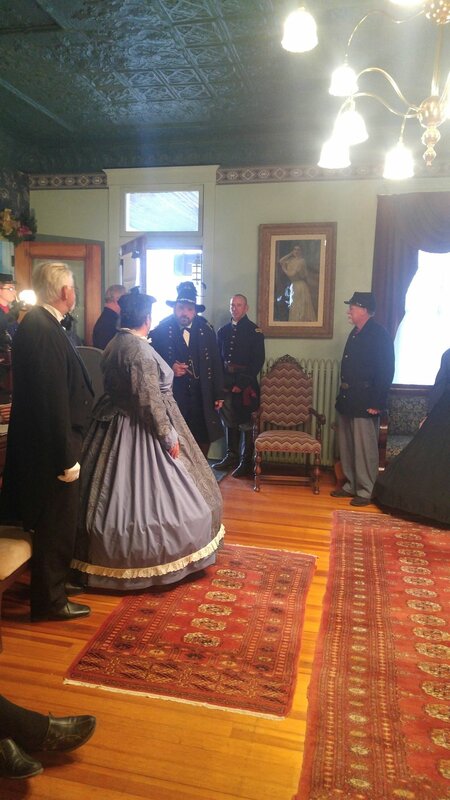 This weekend we had quite a thrill as General Ulysses S. Grant had dinner at our little inn. He was with a some of his officers, their wives and a few guests. 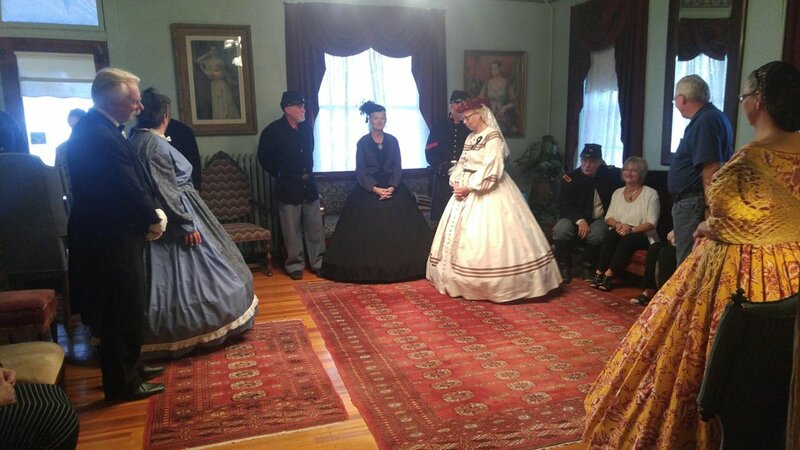 They all looked very smart in their uniforms and beautiful dresses. I wonder if they make the officer's hat in cat size? 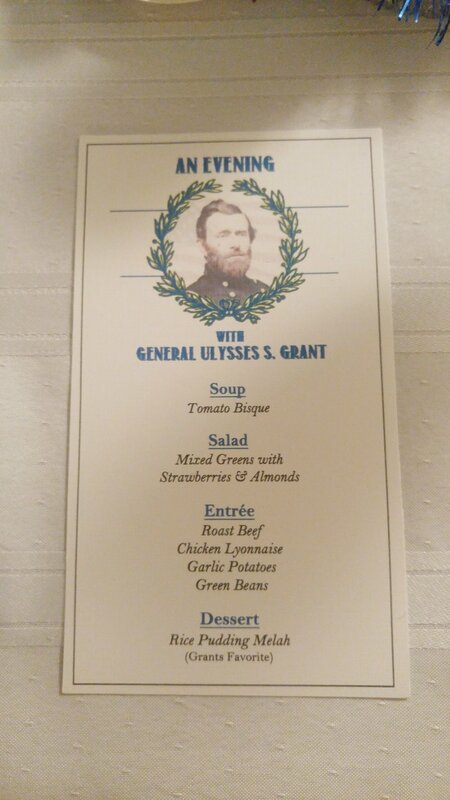 General Grant told a few stories, and everyone ate dinner complete with his favorite dessert of rice pudding, mmmmmm. We even had the excitement of Ghost sneaking into the inn and being chased around. You should have seen it at least 3 people on the floor calling and trying to catch him. He lead Celeste on a merry chase! General Grant entering the Inn of the Six-Toed Cat. 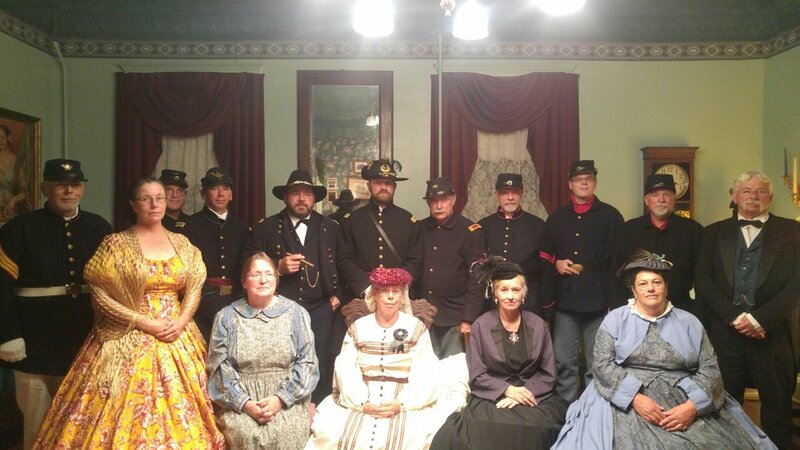 General Grant with some of his men and their ladies. The General is the man with the cigar of course (fourth from the left). As you can see everyone had a good time, but sadly he didn't need a mouser. The job was already taken. General Grant has left the building, I repeat General Grant has left the building. 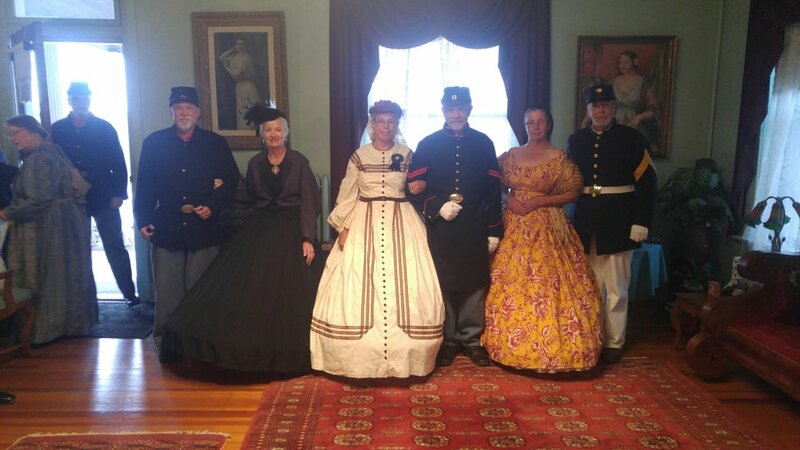 In all seriousness, we at the Inn of the Six-Toed Cat really enjoyed having this lovely group of people at our inn and look forward to having them visit again. Until next time, May your catnaps be long and fanciful & your catnip strong!